In 2004, in a stunning upset against the two-time defending champion Serena Williams, seventeen-year-old Maria Sharapova won Wimbledon, becoming an overnight sensation. Her success would last: she went on to hold the number-one WTA ranking multiple times, to win four more Grand Slam tournaments, and to become one of the highest-grossing female athletes in the world. And then, Sharapova came up against the toughest challenge yet: during the 2016 Australian Open, she was charged by the ITF with taking the banned substance meldonium, only recently added to the IT's list. The resulting suspension would keep her off the professional courts for fifteen months — a frighteningly long time for any athlete. But Sharapova's career has always been driven by her determination and by her dedication to hard work. Her story doesn't begin with the 2004 Wimbledon championship, but years before, in a small Russian town, where as a five-year-old she played on drab neighborhood courts with precocious concentration. Her father, convinced his daughter could be a star, risked everything to get them to Florida; the two arrived with only seven hundred dollars and knowing only a few words of English. From that, Sharapova scraped together one of the most influential sports careers in history. Here, for the first time, is the whole story, and in her own words. 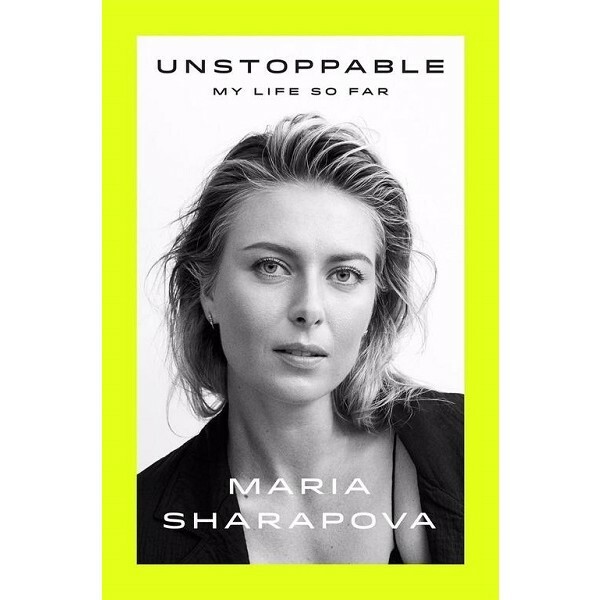 Sharapova's Unstoppable is a powerful memoir, resonant in its depiction of the will to win -- whatever the odds.